This condition is the result of a painful condition which inflames the larynx or voice box. Because the larynx becomes swollen and does not vibrate as well, less sound is created in the voice box, which causes a distortion in the voice when speaking. Some people completely lose their voice when experiencing laryngitis. This condition sometimes has a very sudden onset but will clear up completely in a week or two. Chronic laryngitis occurs on a regular basis and can be triggered by such actions as loud singing, shouting, smoking, or any excessive use of the voice. Laryngitis can be caused by an irritation or by an infection. One very common cause is the same type of viral infection which leads to colds. Some other causes include respiratory allergies, inhaling chemical irritants, smoking, bacterial infections, shouting, giving speeches, and, in some people, drinking alcohol. This condition can generally be diagnosed simply by the hoarseness or loss of voice in a person. A physical examination of the throat may also be required. A physician should be consulted if the condition lasts more than a day or two. If other conditions are present, seek medical attention. Other conditions which can result along with this condition include croup, tonsillitis, vocal cord nodules and throat cancer or polyps. Most treatments for laryngitis concentrate on reducing the inflammation in the larynx. Drinking enough water is critical, typically 6 to 8 glasses per day. A warm compress can be applied to the throat area and a humidifier should be used at night. Speaking softly and attempting to rest the vocal cords whenever possible is also helpful. Do not smoke during this time and try to avoid second hand smoke and other chemicals or substances which may cause further irritation to the larynx. During bouts of laryngitis, the diet should consist of foods which are juicy and mild, such as bok choy, Chinese broccoli, lettuce, strawberries, mano, grapes, pears, cantaloupe and watermelon. Foods which are hot and spicy should be completely avoided in order to allow the larynx to recover without further inflammation. Steamed vegetables, as well as fresh soups and broths, are good for alleviating this condition. Eating light foods will help soothe the throat. Avoid dairy products which product mucus, such as yogurt, cheese, red meats, dairy products and foods which are simple carbohydrates. For those seeking natural treatments, a tea which is made from chamomile, eucalyptus and peppermint should be consumed three times a day. To stimulate circulation, cayenne can be added to the tea, or cinnamon can be added for its warming effect. 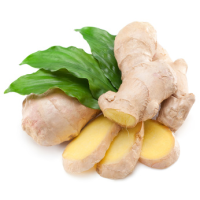 To induce sweating to rid the body of the cause of the laryngitis, add grated ginger root to the tea. Between 500 mg and 1,000 mg of vitamin C should be taken every four hours until the symptoms of laryngitis subside. The bioflavanoids help support the immune system. Zinc can also accomplish the immunity-building function. Zinc can be taken in the form of lozenges (25 mg) several times a day for 5 to 7 days. An effective natural antiviral supplement of elderflower or elderberry can also be used to soothe the throat during bouts of laryngitis. Goldenseal and Echinacea also have antiviral properties and can help to ease the symptoms of this condition. One easy way of ingesting some of these medicinal herbs is to brew a tea with one or several of them. Add a little pineapple juice to the tea to get even more beneficial impact from the brew. Compresses can also be used to speed up the process of healing laryngitis. Take a piece of cloth that is large enough to wrap completely around the head. Put 4 to 6 cups of hot water into a big bowl and add 3 or 4 drops of eucalyptus oil. Bend over the bowl with the cloth over the head and slowly breathe in the essence of eucalyptus oil. Continue this treatment for 10 to 15 minutes. Several preventative ways are known for reducing the risk for laryngitis. First, take precautions to avoid upper respiratory infections. Wash hands after being in public areas and try to avoid any close contact with people who have colds. Do not smoke and try to limit exposure to smoke which is secondhand. If alcohol consumption is known to bring on cases of laryngitis, cut back on its use or completely avoid its ingestion. Attempt to avoid straining the voice. When speaking or singing for long periods of time cannot be avoided, try to rest the voice by not speaking when possible. If laryngitis is a recurring problem, a vocal coach can be utilized to teach the individual some techniques which will avoid straining the voice.